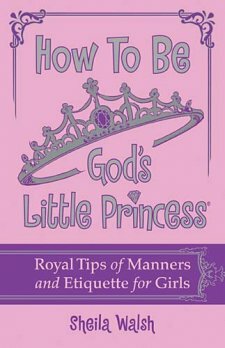 "How to Be God's Little Princess: Royal Tips on Manners and Etiquette for Girls"
A fun guide book for God’s little princesses. What does it take to be a princess? 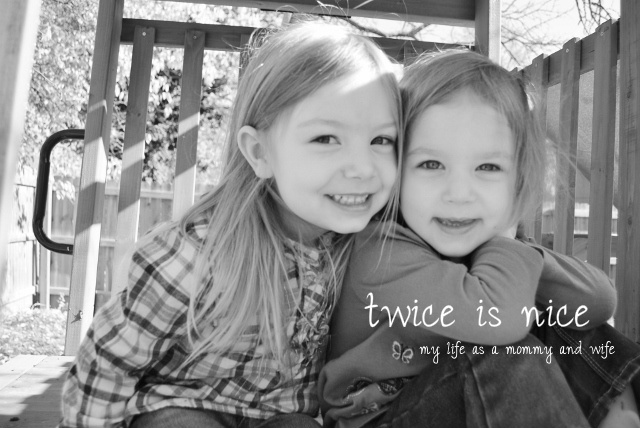 Sheila Walsh has some important answers to share for every little girl. This trendy design features black & white line art and a two-color pink and black interior. The art will tie to each how-to topic in the book—how to make the best pink cookies, how to wear a tiara, how to earn money at home, how to care for a royal dog, how to be respectful, how to use good manners, how to help Mom, how to follow Jesus, how to act like a princess when things go terribly wrong, and many more. This is a wonderful book for young girls (preteen age) that addresses issues that young women face such as: how to "dress like a princess" (the Royal Wardrobe) for all sorts of occasions, how to "wear a tiara" (how to wear your hair), how to perfect your poise, how to be a good friend, how to have dinner manners, how to "sparkle like a princess," have a royal party, how to be media wise, how have manners and etiquette with friends, others and at home, how to sport a good attitude, and how to know if she needs an inner beauty makeover . There seems to be a lot of focus on looks - outer and inner - which is what being a princess is all about. It also has many checklists, quizzes, puzzles and Scripture verses that deal with each topic. I think this book is intended to be written in and used almost like an interactive journal. 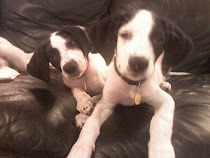 One of my favorite sections of the book was "How to be a good friend". The book states "finding a good friend, is like finding a good book - sometimes you have to look beyond the covers to find what's truly valuable inside." The section rates what kind of friend you are and how you can be the best friend anyone would ever have. I also liked the the section in the book about manners ~ "Don't Show and Tell" talking about not talking while your mouth is full. In the Blushed and Beautiful section the topic is what happens if you burp or worse at the table, the answer is: "A princess who burped would cover her mouth with her napkin(or hand) and softly say, "Excuse me." If it came from the other end, she'd pretend in never happened, as should the others around her. She would never point to someone else and say, "He did it!" that made me laugh out loud! Throughout the book the theme is how to be a princess in every walk of your life. How to walk confidently and live pleasingly to the Lord. The last line of the note that Sheila Walsh wrote to the girls is, " You are God's beautiful, incredible princess--a crowning jewel in His kingdom." This is a very cute book that would be perfect for an upper elementary GIRL (say ages 8 and up) ~ which I plan on giving it to my niece who is in 4th grade. The book is written so that a young girl would want to read it over and over again - and enjoy sharing it with her friends and family too. Thank You so much Booksneeze & Thomas Nelson for letting me review this book! I am really enjoying being apart of your bloggers reading program :) Take care and I look forward to reading more books from you in the future!